Early reviews for How to Train Your Dragon 2 have been very positive. Review aggregator Rotten Tomatoes gives the film a score of 93% based on reviews from 15 critics.Metacritic gives the film a score of 74/100 based on reviews from 6 critics, indicating "generally favorable reviews". At the 2014 Cannes Film Festival, Peter Debruge of Variety praised the film and its ambitions: "The pressures to make a giant four-quadrant monstrosity must be enormous, and yet, like his unflappable hero Hiccup, How to Train Your Dragon 2 writer-director Dean DeBlois has prevailed, serving up DreamWorks Animation’s strongest sequel yet — one that breathes fresh fire into the franchise, instead of merely rehashing the original. 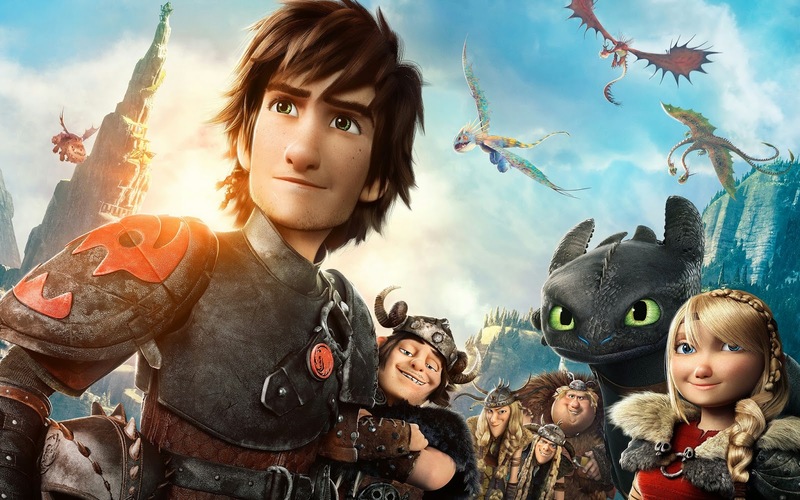 Braver than Brave, more fun than Frozen, and more emotionally satisfying than so many of its live-action counterparts, Dragon delivers. And good thing, too, since DWA desperately needs another toon to cross the half-billion-dollar threshold. "Oliver Lyttelton of The Playlist praised the movie overall, but cited that it was a letdown from its predecessor: "Few fans of the original are likely to be truly disappointed, and the film is certainly in the top tier of the studio's output. It's just a shame that it doesn't quite have the same beating heart as its predecessor." He gave the film a grade of B-.